99c's young female creative duo does it again! 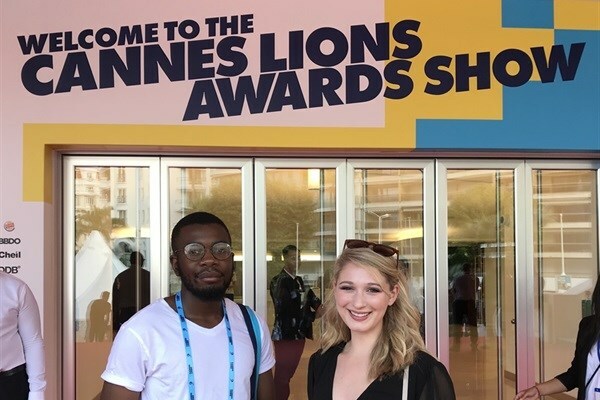 Earlier this year, Prince Zwane and Kaylee Germann of Publicis Johannesburg were selected as the winning team in Cinemark's Young Lions competition (Cinemark is the SA representative of Cannes Lions 2018). 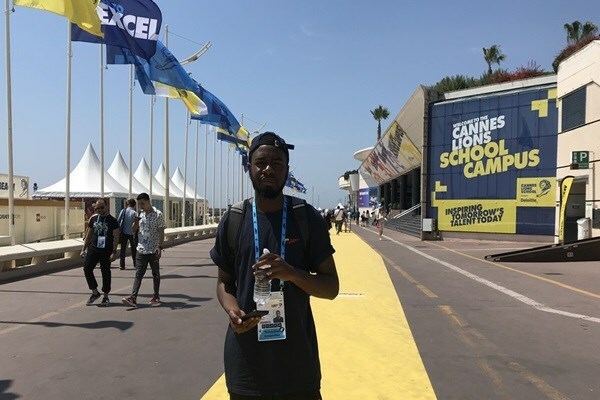 They went on to represent SA at the global Cannes Young Lions competition in the Film category that took place during the Cannes Lions Festival from 18-22 June in France. Prince Zwane and Kaylee Germann of Publicis Johannesburg at the Cannes Lions Festival. Zwane and Germann’s winning entry in Cinemark’s 48-hour Cannes Young Lions competition promoted the gift of sight and as a result will be flighted in Ster-Kinekor cinemas and used by Ster-Kinekor’s Vision Mission (CSI flagship programme) to continue to drive eye-care awareness. Here, they share with us their experiences while in Cannes, their favourite campaigns showcased during the Festival and some valuable advice to young creatives wanting to enter the Cannes Young Lions competition in future. #CannesLions2018: Ready to roar with SA pride! Tell us what it was like competing in the Cannes Young Lions competition? It was such an eye-opener to how much talent is out there amongst the Young Lions. The creative spirits were very high and inspiring and we absorbed everything that we could from contacts to information and creativity. This time, the pressure was increased because we were no longer facing talents from South Africa, but the other winners from all over the world. We did not solely take this as a challenge but also an opportunity to learn from them, which will not only help us by broadening our horizons but also being able to share our experiences with them. Take us through what you experienced at Creative Week and what stood out for you? Due to a few hiccups in the film competition, Prince and I got to enjoy the first two days of the festival. We attended workshops and meetups where we got to discuss and participate in certain topics, meeting different people along the way. A big highlight, of course, was speaker David Droga from Droga5, talking about his journey and what he had learnt in his career. 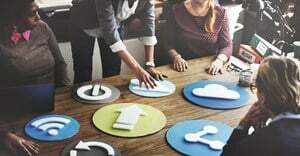 It was definitely a huge eye-opener for us as beginners in the advertising industry. Undoubtedly, the most fun experience was the Facebook Beach. We attended a discussion with some amazing insights and Prince got to meet one of his idols, Es Devlin (a stage designer). Of course, one of the major events on the first day was the official opening party where we ended up meeting some incredibly talented and interesting people. It’s definitely true what they say – creatives do know how to party! What were some of your favourite campaigns at the Festival and why? By attending the award shows, we were constantly inspired by work such as the Trash Isles campaign, Lacoste’s Save Our Species campaign and a lot of the work that won in the Health & Wellness category. What advice do you have for future candidates and young creatives who want to enter the Young Lions competition? One thing we would advise for future candidates is not to underestimate how big and life-changing this opportunity is. Words cannot explain how fulfilled, energised and excited one feels after not only attending the Cannes Lions Festival but even submitting your very own work. Don’t miss out on an opportunity like this, just because you’re not sure whether you’re going to win overall. You have nothing to lose and everything to gain by entering. Who knows, maybe it will be you jet-setting off to Cannes Lions 2019. Any exciting plans in the pipeline that you can tell us about? Since we’ve come back, and even after the announcement of us winning the South African Cannes Young Lions competition, we’ve been presented with a few new and exciting opportunities. Unfortunately, nothing that we can disclose to the public as of yet. Join Bizcommunity, online media partner to Cinemark, the official South African Cannes Lions representatives, and Ann Nurock for the annual cinema breakfast sessions, where top trends and insights curated and presented by Nurock, from her vantage point on the ground at Cannes, will be revealed. The sessions, which will mine the best of this year's global award-winning campaigns and trends, will be of key relevance to creatives, business, marketers and anyone with a vested interest in current creative best practices. Click here for dates and to register and book.